2016 Native American Development Corporation Conference- "Nation Buidling" August 2-4, 2016, Northern Hotel, Billings, Montana! Bio: Executive Director for Native American Community Development Corporation (NACDC) and NACDC Financial Services, Inc. Former Consultant for small business, economic development and grantwriting for NACDC from 2005 to 2011. Former employment includes Executive Director, Northcentral Montana Community Ventures Coalition; Project Coordinator, Rural Development & Finance Corporation’s Native American Development & Finance Initiative; Executive Director, Montana Tribal Business Information Network; and Vice President, Fort Belknap College. Current Board member for Blackfeet Reservation Development Fund and NACDC Financial Services, Inc. Enrolled Fort Belknap Gros Ventre Tribe, Fort Belknap Indian Community. Bio: Annmarie Robinson has worked for the Montana Department of Commerce for over the past four years with the past five months as the Section Manager for the Big Sky Economic Development Trust Fund (BSTF) and Primary Sector Workforce Training Grant (WTG) Program. Before joining the Department, Annmarie worked twenty-four years at Bear Paw Development Corporation in various positions ranging from Housing Coordinator to Deputy Director. The duties included writing and administrating various loans and grants on behalf of government entities for housing and community development projects. During her tenure with Bear Paw, Annmarie secured and managed over 200 projects totally more than $600 million. In addition to her roles at Bear Paw Development, Annmarie was a part-time clerk for the Town of Big Sandy for five years. 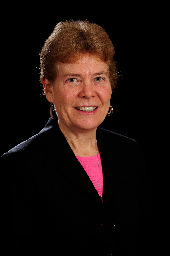 Bio: Betsy Markey is the U.S. Small Business Administration’s (SBA) Region VIII Administrator based in Denver. In this role she oversees delivery of the agency's small business programs and services in Colorado, North Dakota, Montana, South Dakota, Utah and Wyoming. Betsy Markey has over 30 years of experience as a Member of Congress, a senior federal government executive, the co-founder and CFO of a high tech company and a small retail store. 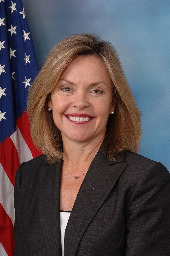 In 2011, Betsy was appointed by President Obama to serve as the Assistant Secretary for Intergovernmental Affairs for the Department of Homeland Security. She facilitated the direct line of communication between the department and state and local elected officials on all DHS mission areas, including cyber security, terrorism prevention, transportation security, immigration enforcement, border security, human trafficking and disaster assistance. Betsy was elected to serve as a Member of Congress in Colorado’s 4th Congressional District in 2008, and represented over 700,000 constituents in one of the country’s largest congressional districts in the 111th Congress. She served on the Committee on Transportation and Infrastructure and the Committee on Agriculture. Prior to being elected to Congress, she was the Regional Director in northern Colorado for U.S. Senator Ken Salazar. She worked closely with local elected officials, businesses, agricultural groups and non-profit groups. In the late-1980’s, Betsy and her husband launched a successful technology company, Syscom Services, which was one of the first companies to market email, and subsequently expanded into the area of web design and webbased information management systems. The firm has been ranked in the Inc. 500 listing of America’s fastestgrowing private companies. In the mid-1990’s, Betsy purchased a coffee/ice cream shop in Fort Collins called Huckleberry‘s. After making extensive changes, she sold the business four years later for double the purchase price. Betsy worked for the U.S. Department of State as the Director of Information Systems Security Policy and Training, where she traveled extensively to our overseas Embassies and consulates conducting computer security threat and vulnerability analyses. She entered the federal government as a Presidential Management Fellow in 1983, where she held positions as budget and program analyst in the Department of the Treasury and the U.S. Customs Service. She has also served as President of the Board of Directors for the Larimer County Food Bank, Chair of its Capital Campaign, member of the Local Legislative Committee of the Chamber of Commerce, founder of the Northern Colorado Democratic Business Coalition and Chair of the Larimer County Democratic Party. She holds a bachelor degree in political science from the University of Florida and a master of public administration from American University. Betsy is married to her husband of 31 years, Jim Kelly. They have three grown children. Region VIII is the most rural region in the country. It includes 27 tribal nations and covers more than 500,000 square miles of territory. Betsy can be reached at betsy.markey@sba.gov. 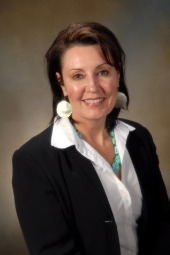 Bio: Casey Lozar (Helena) Casey is a Bureau Chief and Tribal Policy Advisor at the Montana Department of Commerce. A husband and father of three children, he spent most of his career as a tribal broker with corporate leaders and public officials. Casey is an enrolled member of the Confederated Salish and Kootenai Tribes and is actively working in Indian Country with the Department of Commerce, Governor and Lieutenant Governor. 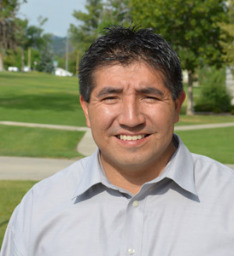 Casey has been affiliated with the Tribal Education Departments National Assembly, National Indian Education Association, Montana Indian Education Association, American Indian Science and Engineering Society, Association of Fundraising Professionals, Native Professionals, Dartmouth College Alumni Network, Native American Alumni Association of Dartmouth and Independent Sector NGEN. Casey currently serves on the following boards: Montana Board of Regents, MT Community Foundation, S&K Electronics and S&K Technologies. Casey earned a B.A. in history from Dartmouth College, an M.A. in education from Harvard University and an M.B.A. from the University of Colorado-Denver. Bio: Cherie Gordon is Manager of Economic Development for BNSF Railway, a position she has held since 2013. Her current role includes planning for strategic development and land acquisitions and coordinating economic development projects for industry and infrastructure with Native American nations. She has been employed for 13 years with BNSF, and prior roles include Manager of Diverse Business or managing the supplier diversity program for BNSF, Equipment Manager for company material, and various positions in Finance. She holds a Master’s of Science in Accounting from the University of North Texas. She is a proud member of the Council of Native Americans, an employee resource group at BNSF where she has been in leadership positions for most of her time at BNSF. Her recognitions include Fort Worth Hispanic Chamber advocate of the Year in 2009, Dallas Business Journal Minority Business Leader in 2010, and advocate of the year for the American Indian Chamber of Commerce of Texas in 2011. 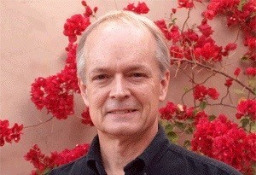 Bio: Stephen Cornell is Professor of Sociology and Faculty Chair of the Native Nations Institute at the University of Arizona. In 1986 he and Professor Joseph Kalt founded the Harvard Project on American Indian Economic Development at Harvard University. They continue to co-direct that project today. 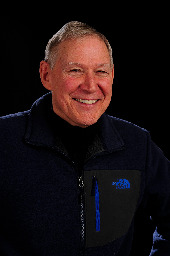 In 2010 Professors Cornell and Kalt were awarded the Public Sector Leadership Award of the National Congress of American Indians "In appreciation for your groundbreaking research and technical assistance in partnership with and for the benefit of Native Nations.” Professor Cornell has spent much of the last thirty years working with Indigenous peoples and organizations in North America and beyond on self-determination, governance, and development issues. His presentation will discuss Native nation building and the critical role it plays in the development of vibrant American Indian businesses and economies. Bio: Jason Smith was appointed by Governor Steve Bullock in January of 2013 to serve in his cabinet as State Director of Indian Affairs. In this capacity, Jason acts as a state advisor and liaison with regard to the multi-faceted issues faced by the tribal governments and Indian citizens in Montana communities. He has years of experience working with Montana tribes, state legislators, and state agencies. Prior to his appointment, Jason worked at the Montana Department of Commerce as the State Tribal Economic Development (STED) Program Manager where he oversaw the Tribal Infrastructure and Energy Efficiency Reinvestment Program. 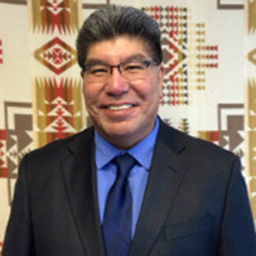 During the 2009 Montana State Legislature, he served as the Chief of Staff to the Montana American Indian Caucus, tracking legislation and appropriations, as well as handling communications between the Tribal Nations and the American Indian legislators. Jason is enrolled as a member of the Confederated Salish and Kootenai Tribes and grew up on the Flathead Reservation where he developed an interest in tribal affairs at a young age. He worked for many years as the Executive Assistant to the Chairman of the Confederated Salish and Kootenai Tribes and was responsible for informing the Chairman of tribal member issues, tribal policies, and assisting in the development of federal, state, and tribal relations. While attending the Salish and Kootenai College, Jason served as a member of Compact Service Corps and worked on tribal and community projects. In 2007, he graduated with a Bachelor of Arts in Business and Entrepreneurship. Bio: Julia Nelmark manages all elements of MMCDC’s New Markets Tax Credit program and assists with the early-stage development of tax credit housing and other community projects. Before joining MMCDC, Nelmark spent time as a financial analyst for Amoco. 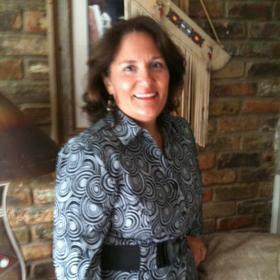 Bio: The Native CDFI Network recently hired Kim Pate as the Network Coordinator. 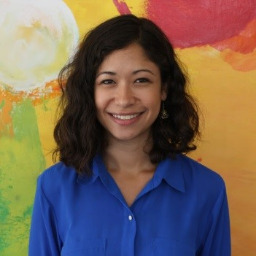 In this role, Kim is responsible for managing all of NCN’s planned activity and carrying out day-to-day operations within these core areas: Fundraising & Program Management, Membership, Policy, Peer Learning, Data & Impact, and Board Management. Kim plays a principal role in engaging the Network’s membership and project deliverables. In addition, Kim serves as a nationwide advocate, and works with partner organizations, Network members, and policy makers at the national, state, and tribal level to inform and support public policy that advances the Native CDFI Industry. Before joining the Network, Kim was the Chief External Relations Officer for the Corporation for Enterprise Development (CFED). CFED is a national economic development nonprofit intermediary organization in Washington, DC. During her fifteen years at CFED, Kim coordinated policy development, strategic partnerships, peer networks, and communication across CFED’s priority areas of work: asset building and financial inclusion, entrepreneurship, federal, state, and tribal economic development, and affordable homeownership. Kim is an attorney who has specialized in representing the interests of low-income women, families, Native Americans, and disadvantaged communities. Kim has been a public speaker, trainer, technical assistance provider, coach, and writer on issues affecting economic opportunity for over twenty years. 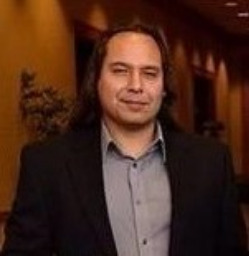 Bio: Loren White, Jr. is a citizen of the Three Affiliated Tribes/Mandan Hidatsa Arikara Nation. 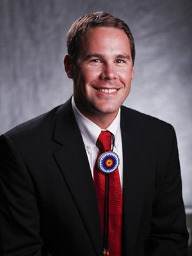 He has 15 years of business and community development experience working directly with Tribes and Native Peoples. 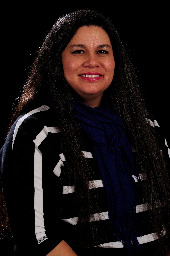 Loren currently is the Native Community Development Financial Institution (CDFI) Manger for Native American Development Corporation (NADC), a regional non-profit serving over 20 Tribal Nations and Native Americans located in MT, WY, ND & SD. 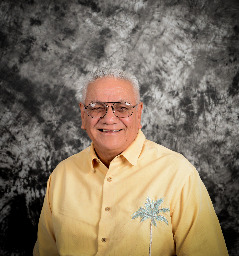 Mr. White was initially hired to provide technical assistance to Native-owned businesses and to assist clients wanting to enter into government contracting. He was later promoted to Organizational Planner to help NADC develop and implement strategic goals, objectives and organizational sustainability. He continues to assist in planning and coordinating community and business development activities for the organization including developing key partnerships throughout the state and region. Prior to joining NADC, Loren worked as a Chief Financial Officer for a Wholly-Owned Tribal Enterprise doing government contracting both locally and nationally. He received his bachelor’s degree in Business Administration/Finance and Master’s Degree in Business Administration with a concentration in Finance. 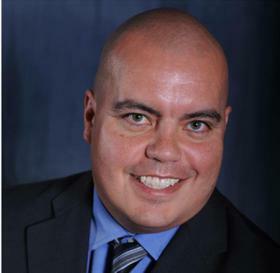 He has received CDFI professional development through the CDFI Fund’s capacity building initiatives: The Leadership Journey 2 and Building Native CDFIs’ Sustainability and Impact. He has also received continuing education in New Markets Tax Credits, Strategic Business Planning and Trust Accounting. 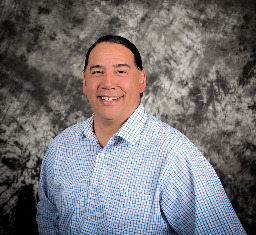 Loren has been recently reelected by his Native CDFI peers to a board position on the Native CDFI Network, a strong national network whose mission is to be a national voice and advocate that strengthens and promotes Native CDFIs, creating access to capital and resources for Native Peoples. Bio: Paul Johnson is the President/CEO of Highliner Consulting Group; a management consulting firm which specializes in expanding opportunities for businesses, tribal and municipal governments and institutions throughout the continental U.S. – with special focus on Indian Country and Rural Alaska. Highliner Consulting Group, LLC was the recipient of the 2013 New Mexico Excellence in Construction Award. Paul Johnson’s educational accomplishments include an Associate degree from the University of Alaska Southeast, a bachelor’s degree in Economics from the University of Montana, a Master of Science degree in Global Supply Chain Management from University of Alaska Anchorage and a Master of Business Administration in Technology Management from University of Phoenix. Professional accomplishments include publication in “Logistics Today” and “Alaska Business Monthly”. Lecture and webinar topics include: “Feasibility Studies and Business Plans for Small Business”, “Strategic Planning for Small Business”, “Knowledge Management for Small Business”, “LLC Formation for Business and Tax Considerations”, “Outsourcing for Small Business”, and “Understanding the Elements of Government Contracting”. Johnson has served as a presenter and/or key note speaker at: various RES conferences; American Indian Chamber of Commerce – Oklahoma Chapter; National 8(a) Association, Oklahoma and Alaska Department of Transportation Civil Rights Annual Conferences; as well as the Association of Alaska Village Corporations. Paul Johnson had also served on the American Military University’s Industry Advisory Council for Reverse Logistics and Development Committee of its new Government Contractor degree program. Johnson is an active member of the Alaska Native Brotherhood Camp #87 (Anchorage) and is Tlingit and Eastern Band Cherokee; and is Wooskétaan (shark clan), and a child of the Taékweidi (brown bear) on his mother’s side and Kwáashkwáan (humpy salmon) on his father’s side. Paul Johnson and Highliner Consulting Group are actively engaged in improving socio-economic conditions in Indian Country and Rural Alaska towards the overall goal of improving economic development for native people and their communities. Bio: Philip Belangie is the Program Manager, Indian Country Programs, Montana Department of Tourism and Business Development. Philip is a long time advocate for capital access for Native American business owners. Working with the team at Indian Country Programs, he manages the Montana Indian Equity Fund, a grant for Native American business owners and entrepreneurs,, the Native American Collateral Support Program, designed to assist Native American business owners needing additional collateral support with their lender, and the Native American Business Advisors (the NABAs), a network of business advisors providing business assistance in their respective communities. 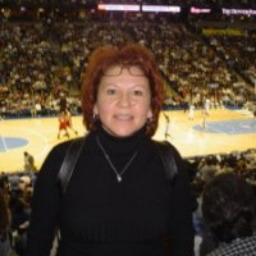 Bio: Robbi joined (PWNA) as President and CEO in January 2013. She has 35 years of experience building positive awareness of organizations and presenting their causes and capabilities to a wide spectrum of public officials, community and business leaders, contributors and the media. PWNA is a national nonprofit that addresses the critical issues and disparities facing Native Americans, serving 60 reservations in 12 states and supporting 250,000 people annually. Prior to joining PWNA, Robbi was Senior Vice Preston for First Preston, a national real estate asset management and technology firm, where for 10 years she help leadership positions in strategic planning and business development. Her private sector experience also includes working for Frito Lay, Inc. as Vice President of Government and Consumer Affairs and legislative activities and leading its Women’s Initiative Network to attract and retain talented women. She was a partner at Ernst & Young, LLP where she led the Southwest Regional Business Incentives Practice, securing government support for clients building new facilities or expanding existing operations. Committed to supporting diversity and helping people in need, Robbi has held leadership positions on boards of directors with several national, regional and local not-for-profit organization. A founding member of the Women’s Business Council – Southwest and former Chairman of the organization she remains active on its Senior Advisory Board. She is currently a member of the Honorary Board of the Dallas Area Habitat for Humanity and the Board of Trustees for the Episcopal Foundation of Dallas and the Gaston Episcopal Hospital Foundation. Inspirational, forward looking and strategic in her thinking, she leads PWNA in creating and achieving its goals and focusing resources in areas where they can have the most impact on quality of life for Native Americans. Bio: Sue Taylor, the newest member of the Beartooth team joined us July, 2015 from northern Wyoming, where she has been involved in economic development for the past 7 years. Prior to that Sue worked in similar positions in western Montana and Wisconsin. Just before leaving Wisconsin, she organized an “Extreme Makover” project for a downtown business which involved 50 volunteers who logged more than 200 hours over a four-day period. Sue has been a Main Street Manager and has a passion for downtown revitalization. Other strengths include marketing, developing community identities, project development and she admits to being a serial entrepreneur. Sue believes in the power of Asset-Based Community Development and in building on the existing strengths of a community in order to facilitate growth. Sue grew up in a military family and has lived in many parts of the country, but has a weakness for the mountains. She has two grown children and five grandchildren. Sue and John enjoy auctions of all sorts and have been known to travel quite a bit for the chance to pick up a few good antiques. Bio: Dylan Jefferson, age 31 was born & raised on the Crow Indian Reservation. At age 12 he started his own DJ business, performing for birthday parties and middle school functions, which was the start of his entrepreneurial endeavors. He continued running his business through high school, then after graduating in 2002, he enlisted in the US Army for 3 years. After basic training, he was stationed in Schweinfurt Germany with the 1st Infantry Division “The Big Red One”. In February 2014, his unit was deployed to Tikrit Iraq for Operation Iraqi Freedom. It was a yearlong tour. After returning back to Germany, he wanted to pursue a career in business & entrepreneurship. He started taking online classes through the University of Maryland. Fall of 2005, he enrolled for classes at Montana State University. During that year, he reestablished his DJ business. He developed a strong passion for the music business and transferred to Full Sail University in Orlando Florida where he earned his Bachelor’s Degree in Music Business and continued into the grad program to earn his Master’s Degree in Entertainment Business. August 2009, he moved to Los Angeles for a fall internship with Comcast Entertainment Group. The objective was to learn the business side of entertainment and start his own business later. Instead, he was offered a job for E! Networks. He took the job and that was the launch of his freelance producing career working for such shows as: G4’s Attack of the Show, G4’s Ninja Warrior, E! News, Access Hollywood, TMZ, American Idol, America’s Got Talent, The X-Factor, Comedy Central’s Key & Peele, Disney’s Sonny with a Chance, and most recently Nickelodeon’s The Thundermans. 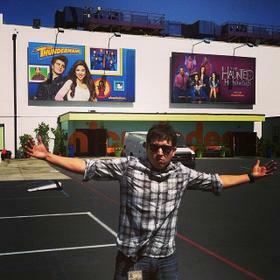 Season 3 of The Thundermans won a Kids Choice Award for Best TV Show. In September 2014, his grandmother died of a massive heart attack. His grandmother raised him since birth and he referred to her as his mother. Her death was the result of a high statistic in America, especially amongst Native Americans. 95% of the population will either dead or dead broke by the age 65. His grandmother was only 63 years old. She was forced into retirement, which just raised her stressed levels. She only lasted 5 months before she suffered a massive heart attack. She had no investments or assets, she had very little retirement, and she still owed a lot of debt. When he returned to Los Angeles a few months later, he felt obligated to learn what the 5% are doing. He started reaching out to young entrepreneurs and investors who were all willing to teach him the ways of the rich & wealthy. They got him reading books on investments, entrepreneurship, and early retirement. He learned more on the streets than any classroom ever taught him. The world is changing. The way people are making money is changing. He partnered with Samuel Mackey, & Michael Force, and they launched an online business that teaches people entrepreneurship and investments. In July 2016, he launched his RichRezKids movement, which will be a nation wide tour teaching the ways of the 5% to Native Americans across the country. Bio: Heather Sobrepeña-George is a descendant of the Crow (Apsaalooke) and the Miniconjou band of the Cheyenne River Sioux and is a third generation Filipino-American. Heather is the Section Manager of the Indian Country Programs for the Montana Department of Commerce and oversees the Indian Country Economic Development (ICED), State Tribal Economic Development (STED) Commission, Montana Indian Language Program (MILP), and the Native American Collateral Support (NACS) Programs. The outcomes of these program support all activities on a continuum of business development including inclusive economic policy development between tribal governments and the State of Montana, Native American private sector development on reservations, access to capital, entrepreneurial training, business planning for tribal governments, as well as language conservancy and perpetuation. 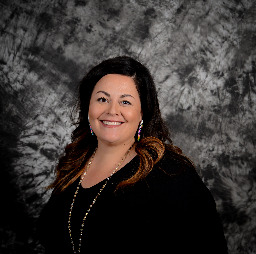 Heather also works within her role with the Montana Office of Tourism and Business Development Bureau to develop tribal tourism opportunities in the larger network of local, domestic, and international tourism opportunities. Heather has an AAS in Business from UM Helena College and a BAS in Business (Management) from Montana Tech. She is an Economic Empowerment Fellow with the Maureen and Mike Mansfield Center, having done exchanges with fellows from Thailand and Laos. She has four children, Atlas, Blaisen, Moases, and Nieva, with her husband Jim. Bio: Miriam C. Smith is the owner and managing member of Paridae Enterprises, LLC dba A Resource, a CPA and business consulting firm. She is Crow, a member of the Ties In The Bundle clan and Mandan. Ms. Smith was raised on the Crow Indian Reservation in Pryor, Montana. She attended Bellevue Community College in Washington and graduated from Montana State University- Bozeman with a Bachelor of Science in Business / Accounting degree. Ms Smith is an active licensed CPA in Montana and Colorado with over 25 years of professional experience in public accounting, industry and contracting. Ms. Smith has comprehensive knowledge of and experience in business operations, internal controls, preparation of financial statements, financial reporting, modeling/analysis, and income tax returns. For the past 5 years, Ms. Smith has worked on building financial capacity on-site within nonprofits and housing authorities in Indian Country. In industry, Ms Smith has been responsible for managing all aspects of financial control including analysis and reporting and has supervised and managed a high volume finance department. Ms. Smith has introduced and implemented ISO 9000 standards for a national transportation company and a public/private transportation venture. In non-profit and small business capacity building, Ms. Smith has assisted organizations with income under $30 million to build foundational infrastructure for increased capital and bonding, improved processes and sustainable governance practices. As a consultant, Ms Smith has successfully completed financial solution engagements in the capacity of project manager, team lead, and staff augmentation in the industries of manufacturing, technology, publishing, real estate, retail, restaurant, gaming, environmental, hospitality, outsourcing, education, film media, banking and transportation. Ms Smith’s background also includes software training in SQL, Visual Basic, COBOL and PICK and relational database training in Oracle, and Access. Ms. Smith is a member of the American Institute of Certified Public Accountants (AICPA), member of the Institute of Internal Auditors (IIA) and the Association of Governmental Accountants (AGA). Ms. Smith’s firm, A Resource, has been recognized by the Mountain Plains Minority Supplier Diversity Council and has passed a CPA Firm Systems Peer Review. Ms. Smith is on the board of directors for the innovative and successful Aluutaalaahu Many Arrows CDC, a Tribal District non-profit CDC. She is the proud mother of one daughter, two cats and one big dog! 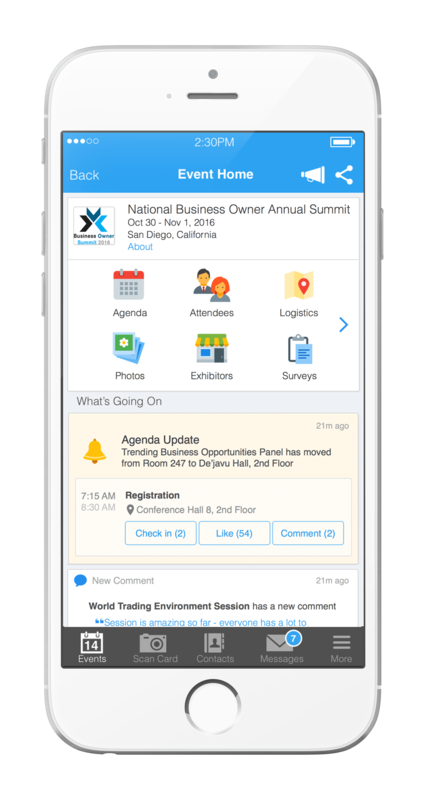 Attendees please download Whova event app, to access the information of all 37 speakers.